Simple yet effective, this metal wall art of poppies shows the pretty scarlet flowers waving gracefully in the wind. 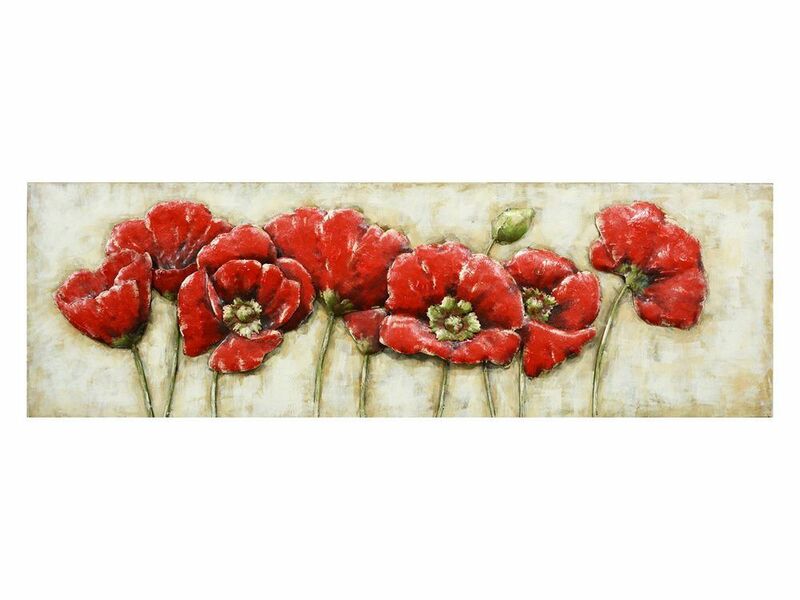 Made from raised metal with a hand-painted finish, this charming poppies wall hanging has a 3-D effect that will bring perspective and added dimension to walls. At over 1.5-metres wide, this floral wall art will bring a delightful dash of colour and a fresh, organic touch to rooms.